A property owner may sign up to receive e-mail notification when there has been a call for service at their address. The e-mail will be sent the day after the call for service occurs and will contain the related incident number. The report, if one was initiated, regarding the call for service may not be available for release due to processing time, ongoing investigation or other privacy related issues. You are encouraged to call first at (262) 635-7750. Owner information will be verified against property tax information as the owners are the only people that may sign up for these notifications. 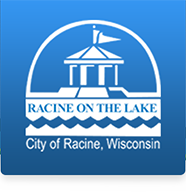 This is a free service provided by the Racine Police Department. If you wish to be removed from the Call For Service email group fill out the below form to be removed from the mailing list.